The team at Searcys is dedicated to ensuring sustainability is at the heart of their business, which begins with the products and suppliers they work with. Searcys have partnered up with the sustainable Champagne house Drappier to deliver their premium-quality Carte D’Or Brut NV across all their events. All Drappier vineyards are cultivated according to organic and natural principles: ploughing by horse, grass cover between the vines, use of natural fertilisers, establishing a solar powered, gravity fed winery and the minimal use of sulphur to name just a few. 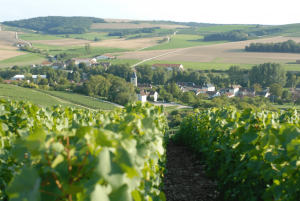 In 2016 Drappier became the first and only carbon neutral Champagne house.